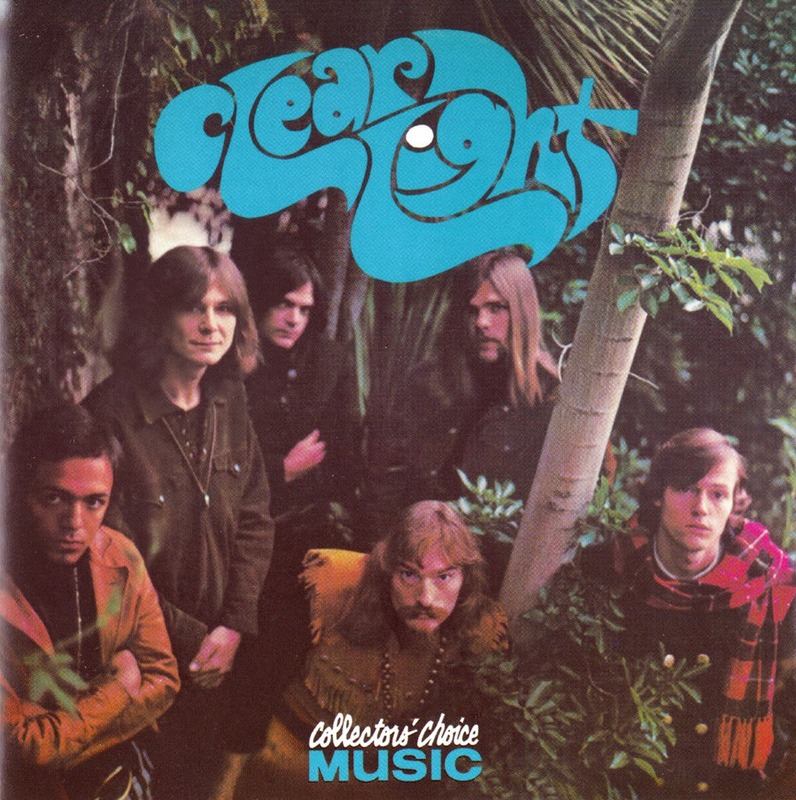 Clear Light was a folk-rock/psych-rock group from LA that released one LP off Elektra in 1967, famously known for including two drummers, one of them being Dallas Taylor of CSNY and Manassas fame. Paul Rothchild produced the LP, which explains why the recording sessions were fraught with tension and negativity. The group was masterminded by guitarist/vocalist Bob Seal, bass player Doug Lubahn, and lead vocalist Cliff De Young. Prior to Clear Light the band had been known as the Brain Train. Seal felt a name change was appropriate to coincide with the release of a newly recorded debut single, “Black Roses.” Seal decided on Clear Light, a concept he had come across in his readings of Eastern philosophy, a name also shared by a potent brand of LSD. “Black Roses,” written by Wolfgang Dios, was released in September of 1967. It was a great hard charging folk-rock single with an acid tinged guitar solo that deserved to sell much better than it did. 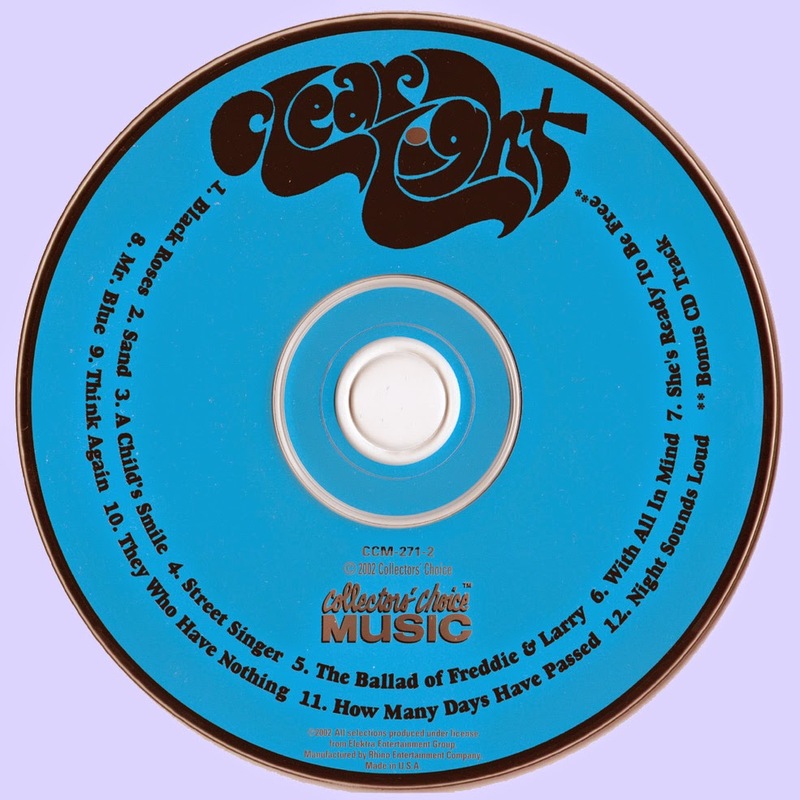 Black Roses appeared on the group’s only full length platter, released in late 1967. Many psych fans are divided when it comes to the Clear Light LP but I think it’s a good one. Maybe not a true classic on par with Love’s Forever Changes or Moby Grape’s debut but still a very good LP without any weak tracks. The band tries nearly everything within a 2 to 3 minute pop song context, loading the songs with good quirky ideas and great guitar solos (check out “Think Again”). Some tracks like “They Who Have Nothing” and the baroque “Ballad of Freddie & Larry” bear a strong Doors and Love influence, but this makes sense considering these were all Elektra groups. Other songs like the outstanding fuzz guitar psychedelia of “Sand” and the trippy “Night Sounds Loud” are more original and hinted at a strong future for the group. The former track features some great organ and spiraling acid guitar interplay. The album’s most famous track, a cover of Tom Paxton‘s “Mr. Blue,” sounds dated today with its spoken word dialogue, although, even this song is oddly appealing in its own way and definitely still considered a highlight. Rothchild’s iron fist policy coupled with the lack of commercial success led to Clear Light’s demise, shortly after the release of this solid album. Not everyone will like this record because of its eccentric nature but it really is a crime that Clear Light was unable to release a followup to this debut. A very worthy release from a talented, accomplished California group.